Dr. Main trained in obstetrics and gynecology and Maternal-Fetal Medicine at Washington University in St. Louis and the University of Pennsylvania. He has been a faculty member at the University of Pennsylvania and the University of California, San Francisco. He is currently Professor of Obstetrics and Gynecology at Stanford University. 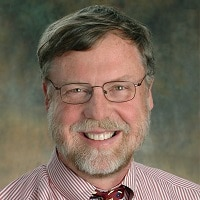 From its inception 12 years ago, he has directed the California Maternal Quality Care Collaborative based at Stanford and serves as the Chair of the California Pregnancy-Associated Mortality Review Committee. He also co-chairs the CDC-ACOG Maternal Mortality working group with Dr. William Callaghan. He has served or chaired national committees on Maternal Quality Measurement and Value Based Payment for ACOG, the AMA, The Joint Commission, Leap Frog, and CMS. Nationally, he serves as the Implementation Director for the Alliance for Innovation in Maternal Health (or AIM) initiative, the national multi-disciplinary project for the reducing maternal mortality based at ACOG. In 2013, Dr. Main received the ACOG Distinguished Service Award for his work in quality improvement.